Sales of video production equipment have been surging in recent years in South Korea, where a content creator on video-sharing site such as YouTube has become a wannabe profession. 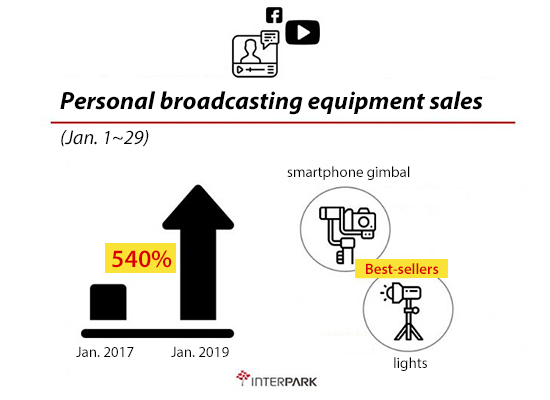 Interpark, the country’s leading online retailer, said Friday that sales of personal broadcasting equipment like a camera, handheld gimbal, and microphone jumped 540 percent between January 1 and 29 from the same period two years ago and 130 percent a year earlier. Specific sales figure was undisclosed. 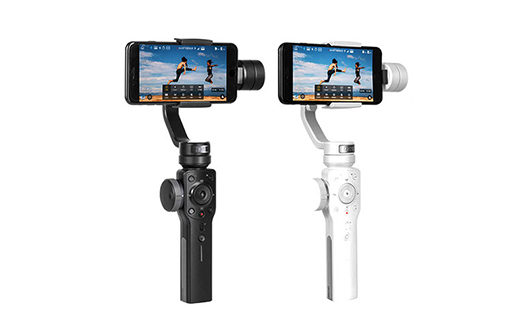 By category, sales of a handheld gimbal, which holds and rotates a video taking device such as a smartphone or a camcorder, as well as lighting kits grew most sharply. Other top-selling equipment included wireless microphones and small, portable monitors for previewing video. An Interpark official said the sales of low-budget video-making equipment that can be used together with a smartphone have grown rapidly in recent years in line with an increase in the number of amateur personal broadcasters. The phenomenon has coincided with the rising popularity of so-called YouTuber, a content creator on video-sharing platforms such as YouTube, as a profession among the youth. According to an annual poll on school-age dream job by the Korean Ministry of Education and Korea Research Institute for Vocational Education and Training, YouTuber made its first entry into the top 10 list this year, underscoring the influence of the video platform and internet celebrities over Korean kids. As long as the popularity of the video-sharing platforms like YouTube continues to grow, demand for personal broadcasting equipment is expected to remain strong, the Interpark official added.